Secure in-car cradle smartphone mount with built in wireless charge. 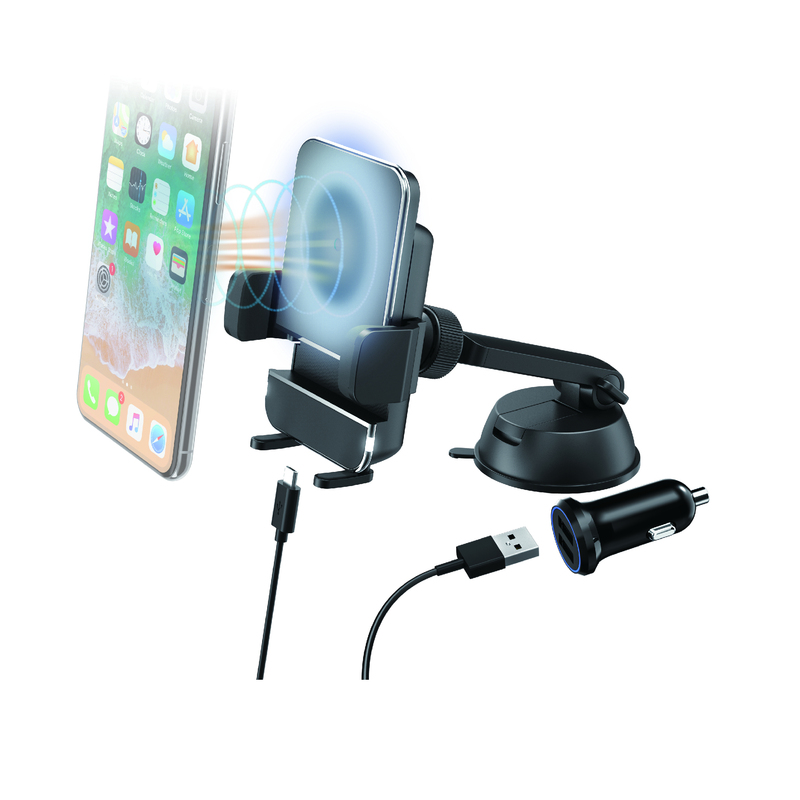 The AERPRO APWMSHLD CRADLE WIRELESS CHARGER KIT - SUCTION is a simple, safe and convenient wireless charge smartphone mounting solution that can be positioned on the vehicles windscreen or dashboard. The locking cradle arms with quick release button ensure the phone remains secure at all times, while the adjustable wireless coil position allows for efficient charging. Qi-enabled certification and suitable for Apple and Android wireless charge smartphone devices, the APWMSHLD is the must have accessory if you are looking for a hassle free mounting and charging solution for your vehicle.